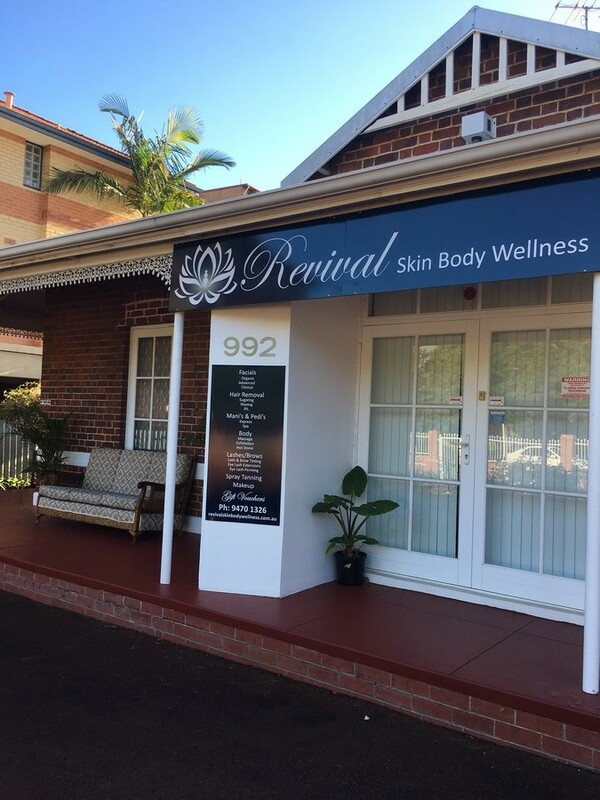 Revival Skin Body Wellness is situated at 992, Albany Highway in East Victoria Park, Perth. Revival Skin Body Wellness is ideally located in the heart of East Victoria Park, a vibrant community of cafes and retail outlets. Our beautiful salon is located in a heritage house surrounded by gorgeous gardens. The owner Helen Edwards has attended to every detail from colour, sound, scent and texture to make your visit enjoyable and memorable. Helen says “We often put the needs of others before our own. That’s why we here at Revival Skin Body Wellness want to help you reconnect with YOU, whether it is a long or short stay with us our mission is to make you feel beautiful and nurtured and when you leave have a smile on your face and the feeling that you are renewed, restored and rejuvenated in both mind and body”. Both women and men are welcome to escape life’s everyday stresses we aim to relax you from the moment you step through the door. Our treatments are thoughtfully designed to balance the synergy between your mind and body and to capture the essence of true wellness with visible results through products that embody our philosophy of empowering you to be the best you can be. We proudly use and recommend Luzern, O Cosmetics, and Ginger and Me Neurocueticals all of which are organic or free from harsh chemicals and fake fragrances. We comprehensive menu is made up of relaxing wellness packages, through to results driven facials and peels to rejuvenate and renew. For everyday beauty needs we specialise in body sugaring , waxing, massage, tinting, pedicures, manicures, and spray tans. With on site parking you will never have to stress about parking tickets again. There is parking at the back of the premises and also 2 hr(ticket free) on street parking at the front of the salon. Copyright © 2019 Revival Skin Body Wellness. Powered by WordPress. Theme: Spacious by ThemeGrill.